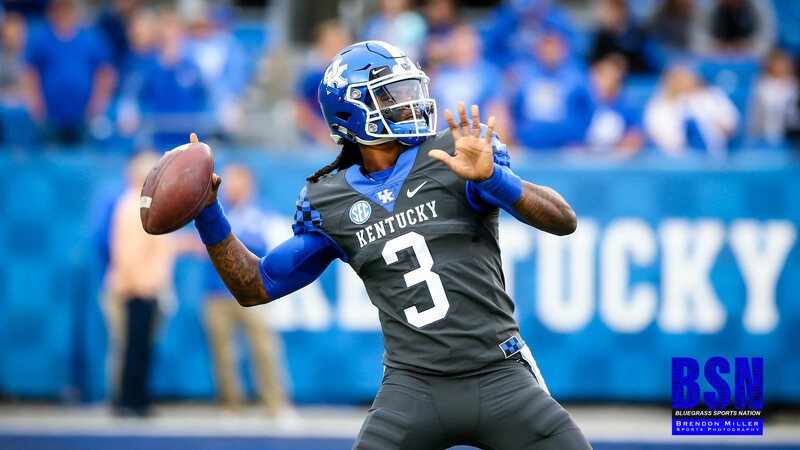 On the first possession of the game, Terry Wilson connected with Lynn Bowden on a post route for a 42 yard touchdown. The Blue team took a 7-0 lead, and the offensive display was on in Kroger Field. After the White team was forced to punt, A.J. Rose led the charge on the second drive of the quarter for the Blue team. Rose setup the Blue team with a first-and-goal opportunity off of a 42 yard run. A few plays later, Rose punched in the second touchdown of the game. The Blue team led 14-0. The White team was forced to punt on their second possession of the game. The first play of third drive for the Blue team featured Terry Wilson connecting with Isaiah Epps for 60 yards in yet another post route. On the next play, Terry Wilson found tight-end Justin Rigg over the middle for a 24 yard touchdown. Wilson finished the quarter with 169 passing yards while going 8 for 8 with two touchdowns. Late in the first quarter, Chris Rodriguez fumbled the ball. Boogie Watson recovered giving the Blue team the possession in the opposing territory. The drive ended with a 52 yard field goal by Chance Poore with 9:55 left in the second quarter. The Blue team led 24-0. After the White team was forced to punt, Kavosiey Smoke established his speed with an 87 yard carry on his first touch of the game. The Blue team took a 31-0 lead with 8:22 to go in the second quarter. The White team gained momentum when Gunnar Hoak connected with Florida native Bryce Oliver up the sideline for 28 yards. The gain set up the White team in the redzone. Christopher Rodriguez capped the drive with a two yard touchdown run. With 4:18 to go in the second quarter, the Blue Team led 31-7. Gunnar Hoak and the White team got the first possession of the second half. The result was a 36 yard field goal by Matt Ruffolo off of a productive 11 play drive. The Blue team led 38-10 with 4:56 to go in the third quarter. Terry Wilson and the Blue team went back to work on the following drive. It was a seven-play 84 yard drive that was capped off by a one yard touchdown run by A.J. Rose. The Blue team led 45-10 with 2:45 to go in the third quarter. Walker Wood quarterbacked the next drive for the White team. After the White team was forced to punt, Gunnar Hoak led the Blue team on a seven play 80 yard touchdown drive. Gunnar Hoak connected with spring game standout Bryce Oliver for the eight yard touchdown. The Blue team led 52-10 with 8:46 to go in the fourth quarter. On the next drive for the White team, Walker Wood was intercepted by Florida native Jordan Wright. Wright’s interception led to a 27 yard touchdown pass from Gunnar Hoak to Ahmad Wagner. After the White team turned it over, Kavosiey Smoke scored the game’s final touchdown off a five yard run. The final score was Blue 64 – White 10. Terry Wilson played excellent football in today’s spring game. Wilson went 10 for 12 and had 191 passing yards and two touchdowns. Wilson had two carries for 15 yards. Wilson showed his ability to complete passes down the field with two impressive passes. He connected with Lynn Bowden for 42 yards off a deep post and completed a 60-yard pass to Isaiah Epps on the same route. Lynn Bowden once again showcased his abilities. He finished the game with four catches, 66 receiving yards, and one touchdown. 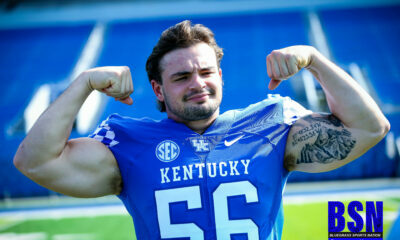 With the loss of Benny Snell, running backs like A.J. Rose and Kavosiey Smoke will be called on to carry the load. In tonight’s game, the duo combined for 218 rushing yards on 16 carries and five rushing touchdowns. 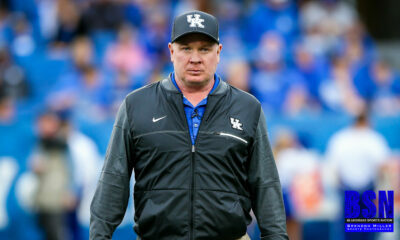 All in all, the future looks bright for Coach Stoops and the Cats!